The Daily Examiner's second annual Power 30 is doing exactly that, naming the men and women who are influencing the future of the Clarence Valley. Below we reveal the 30 most influential people in the Clarence Valley region, including the one person we believe has held the most sway in 2018. The names have been finalised and ranked in good faith by a panel of five and provides a unique snapshot of how influence is wielded in our great area across all sectors, including business, politics, the arts, sport, law and health. It is, of course, highly subjective and will be debated in households from Yamba to Grafton, Copmanhurst to Wooli and everywhere in between. The one thing everyone on the list invariably shares is a passion for our region and a drive to effect change. I hope you enjoy reading our POWER 30: Clarence Valley's Most Influential 2018. POWER 30: Clarence Valley's Most Influential 2018. NO.1: Ashley Lindsay: When appointed Clarence Valley Council general manager in July 2017, Ashley Lindsay was charged with restoring the council's financial stability and to win back the public's trust in the organisation. THERE can be little doubt the top dog of the 2018 Clarence Valley Power 30 has the hardest job in the region. When appointed Clarence Valley Council general manager in July 2017, Ashley Lindsay was charged with the job of restoring the council's financial stability and to win back the public's trust in the organisation. Neither task was a gimme. In the previous two years, the council, under different leadership teams, had tried and failed to meet the NSW Government's Fit for the Future guidelines. Most telling was the Independent Pricing and Regulatory Tribunal's refusal in May 2016 to fully grant the council's request for the special rates variation rate rise it needed to fund its Fit for the Future measures. IPART panned the council's SRV request saying it had not justified the need for the rate rise or adequately consulted with ratepayers about it. The failure resulted in another 10 months of turmoil, which included the resignation of Mr Lindsay's predecessor. Being thrust into the comparative limelight of the general manager's position has not been easy for a person instinctively happier dealing with money matters behind the scenes. Prior to the 2004 council amalgamation he was responsible for the Maclean Shire Council finances and took over that role at the new Clarence Valley Council. Mr Lindsay's background in finance has been valuable as he and the council staff charted their way to being Fit for the Future. Set a target of improving the council's bottom line by about $15 million, he was able to to split the difference between revenue raising and funding cuts, but both had the potential to create disunity. A key plank of the cost savings was cutting the equivalent of 25 full-time jobs from the council's staff, saving around $7.5 million and the revenue raising required a special rates variation raising nearly $8 million. For this process to succeed Mr Lindsay recognised he had to let his colleagues and the community know exactly what sacrifices they needed to make. Within the council he established regular staff meetings where staff were kept up to date with the process. In the community Mr Lindsay became a regular sight at community functions, always willing to talk openly about what the council has tried to achieve. It hasn't been a fairytale. Clarence Valley Council still cops plenty of flak from ratepayers, but there are signs the tide has turned, with many noting Mr Lindsay's openness and transparency as a key part of the change. Away from work Mr Lindsay is never happier than being on a footy field. These days the former North Sydney Bear's field time is as a referee when the Yamba Eagles and Clarence Coast Magpies junior teams are running around on a Saturday morning. His contributions there have not gone unnoticed, picking up the Ernie Muller Award for Contribution to Sport in the Lower Clarence at the recent Clarence Valley Sports Awards. No.2: Westlawn: ESTABLISHED in 1964 by brothers Bill and Peter Dougherty as a finance company to help people buy whitegoods, Westlawn has grown to be a multi million-dollar institution that has branches all over the North Coast. STABLISHED in 1964 by brothers Bill and Peter Dougherty as a finance company to help people buy whitegoods and other big-ticket household items, Westlawn has grown to be a multi million-dollar institution that has branches all over the North Coast. The company began extending its services to become a full local finance company in the early '70s when Bill and Peter's cousin, Mike Dougherty, entered the fold. From there the company continued to diversify, moving into the property sector with the acquisition and development of commercial real estate. Of course, family has always been at the centre of Westlawn's philosophy, including the extended members of the team in their loyal staff. A number of second-generation Doughertys actively work in the Westlawn Group. Jim Dougherty, one of Bill's sons, joined in 1993 and is now chairman of Westlawn Finance and chairman of the Westlawn Property Trust. Mark Dougherty, one of Peter's sons, joined Westlawn in 1996, is a director of Westlawn Finance and has previously held the position of managing director of the finance division. Sarah Dougherty, one of Mark's sisters, also works in the finance division. In addition, Chris Dougherty, one of Mike's sons, is general manager of Westlawn Insurance Brokers. After serving as chairman for many years, Mike Doughtery retired from the Westlawn board in October 2017. (Mike took out No.23 in The Daily Examiner's inaugural Power 30 that year, while his cousin Bill took out No.2). Westlawn is one of the family business success stories of the Clarence Valley. The respected company, now simply called Westlawn, is a competitive operator across various investment and lending platforms as well as providing a complete range of financial services and advice. The award-winning business prides itself on its Clarence beginnings, employing a large team of local staff and providing various support and sponsorships across an enormous number of community organisations and events, from the Jacaranda Festival and Casino's Beef Week to the popular July Racing Carnival kickstarter Westlawn Prelude Day. No.3: Ross Roberts: Harwood Marine managing director Ross Roberts is proud of his company's record as a successful marine construction and repair business employing hundreds of local people over the years. IF YOU are one of the many young people who got a start in their working lives in the workshop at Harwood Marine, you might be tempted to rate its managing director Ross Roberts even higher than his third spot in this year's Power 30 list. Mr Roberts is proud of his company's record as a successful marine construction and repair business employing hundreds of local people over the years. He is particularly proud of the statistic that 20 per cent of the apprentices his business trains to trade level stay with the business. He has also been partly responsible for the rapid construction of the nearby Harwood Bridge, spotting a good business opportunity to offer his slipway facility to the bridge builders. They were able to ship in and assemble the massive cranes and float them to the site on barges. This capability saved time, money and hundreds of heavy vehicle journeys on our roads. The proof of the pudding of Harwood Marine's commitment to the region came with the 2014 decision to replace the ageing slipway with a modern facility capable of handling the larger vessels the company has in mind for its future. The decision meant the slipway was out of action between October 2014 and February 2017 while the company's workforce turned their attention to constructing the new centrepiece of the company's operations. Mr Roberts was proud to say the company funded the construction entirely from its own coffers, providing the Clarence Valley with a state-of-the-art shipbuilding and repair facility. Indeed it was this very slipway that enabled the company to make its contribution to the bridge construction. But he said the company really made its commitment to the Clarence Valley more than a decade earlier when the company noticed a disturbing trend in the shipbuilding industry. He said buyers were taking their orders for vessels offshore because Australian labour prices could not compete with the prices overseas. Shrewdly, the Harwood Marine management opened a shipyard in the Philippines building Australian-warranty ships at the prices the customers wanted. "That was our point of difference - our ships were better quality and, with the warranty, repairs could be done by an Australian company," Mr Roberts said. Building Harwood Marine on the back of new business coming from around the world, the company was able to keep its lower Clarence operation profitable as well. No.4: Chris Gulaptis: NO STRANGER to the Power 30 list, last year's No. 1 Member for Clarence Chris Gulaptis, proved just as effective in securing more political love in the region ahead of the election year. NO STRANGER to the Power 30 list, last year's No. 1 Member for Clarence Chris Gulaptis, proved just as effective in securing more political love in the region ahead of the election year. Some of his biggest announcements this year included funding for health and the arts. The successful state funding application by the Grafton Regional Gallery secured its future in a $7.6 million extension which will begin construction in 2019. Mr Gulaptis also had the pleasure of announcing $17.4 million upgrade for the new Ambulatory Care Unit at the Grafton Base Hospital. More hospital funding remains in his sights with the potential $268 million rebuild of the tired piece of infrastructure. To ensure government remains focussed on the GBH Mr Gulaptis kicked off a petition to ensure the momentum isn't lost. He also went into bat for the environment earlier this year alongside Dirtgirl and while it fell on deaf Berejiklian government ears, he isn't afraid to criticise or stand up when it comes to representing his constituents back home. Work on the other boons for the Clarence, the highway upgrade and Grafton are still rolling along nicely while the new correctional facility, also got under way this year. The sheer size of what will be known as Australia's largest prison is getting real as concrete slabs and walls have been appearing on the landscape in one of the region's largest pieces of infrastructure announced by the local member last year. After much local campaigning by locals, and perhaps a nudge from competitive candidate Steve Cansdell, Mr Gulaptis came good by co-funding the long-desired Maclean helipad, securing a fixed speed camera for the village of Ulmarra after a spate of trucking accidents, and the demand for an ambulance station in Iluka is seriously being considered this very moment. Earlier in the year Mr Gulaptis also got into the ear of Deputy Premier John Barilaro, among the landscape of campaign pressure building, and within six weeks of doing so the ordeal of the unpaid highway subcontractors was resolved with more than $7 million of government money to cover their losses. Mr Gulaptis is quick to point out that although it has been very lucrative for Clarence Valley as far as infrastructure projects goes, he does humbly acknowledge there are many cogs in the wheels that turn out these decisions. There are three and half months to go until the New South Wales state election, and every week there seems to be a press release with some good new about funding for the region. The next one could be as soon as Monday. No.5 Steve Cansdell: THE surprise return of Clarence MP Steve Cansdell to political life as the candidate for the Shooters, Fishers and Farmers Party has sent shock waves through the local political system. THE surprise return of former Nationals Member for Clarence Steve Cansdell to political life has sent shock waves through the local political system. Mr Cansdell resigned from parliament in 2011 in disgrace just six months after the Coalition swept to power in NSW. Almost seven years later he is back with a new party, the Shooters, Farmers and Fishers, stirring up the status quo and standing up for the rank and file voter. Always known for his straight-talking style, he has wasted no time getting under the skin of his former colleagues when it comes to debating the big issues confronting the region. Even with record infrastructure spending in the Clarence Valley, Mr Cansdell has taken it upon himself to attract even more money to the Clarence Valley. Even before campaigning begins in earnest for the State Government elections in March 2019, he has established a mantra of "even if I lose, the Clarence Valley can be a winner as long as the government spends more money here". But the competitive nature of the former boxing champion plus the volatile political landscape in Australia, means he has not given up on regaining the seat. The Wagga by-election in September, where a massive swing against the Liberal incumbent had an independent grab the seat, raised the prospect of an upset in Clarence. Since then the Liberal brand has imploded further, with commentators now saying the NSW Government's future looks shaky, simply due to the federally inflicted brand damage. Mr Cansdell knows these cracks in the government facade can be exploited by campaigning on issues closer to home. From the moment he announced his intention to run for office, he set about doing this. Straight away he took up the plight of a group of local sub-contractors who had been dudded out of their money when the Queensland construction company Ostwald Bros went broke last year. Soon after, the NSW Government announced it would bail out the contractors with an ex-gratia payment entirely covering their losses. Mr Cansdell switched his attention to a problem literally in his backyard, the issue of speeding trucks through Ulmarra village, where he lives just a few doors away. He was devastated at the plight of a local family who three times in four years had endured a track crashing into their yard, narrowly missing their home. He took up the fight, urging the government to install a speed camera in the village to make sure any truckies who ignored speed limits paid the price. He also urged the RMS to install barriers on the village's notorious corner to protect residents if another truck did leave the road. Typically Mr Cansdell did not seek to claim the victory when these measures were installed, but that does not mean his prints were not on them. No.6 Joanne Reid: CHIEF Inspector Joanne Reid is at the forefront of keeping our Clarence community safe, and as the public figure of the local force is committed to providing an accurate and timely link between the police and community. CHIEF Inspector Joanne Reid is at the forefront of keeping our Clarence community safe, placing her at number six in our power-30 list. Arriving in the Clarence Valley in 2011 after posts in inner-Sydney and Newcastle, she has more than 20 years of policing experience to guide the local police force. However, it is her manner of being an upfront public face for the local force that has led to her position within this list, with the now head of the Grafton sector a regular in the local community. Ms Reid is a visible presence at many of Grafton's major events and can often be seen mingling and talking with the crowd at events such as Jacaranda and the July Racing carnival. However, it is her commitment to providing an accurate and timely link between the police and community that makes her stand out in her field. She is a crucial source of information to The Daily Examiner, often going above and beyond the scope of her duties and situation to provide information. And while being in charge of an area's police may stereotypically require the old "firm hand", Ms Reid performs her role with a deft sensitivity and empathy. In an interview with The Daily Examiner, she described her process of informing families of the loss of loved ones. "When hearing that you have lost a family member, it takes a while for the grief to set in so it's important not to overload them with information," she said. "Families also have a lot of questions in the days following, so it's about being as accessible to them as they need." Through her own willingness to be accessible to the community and her commitment to her work, our community's policing is in good hands. No.7: Janelle Brown: EACH week, Janelle Brown's Daily Examiner column Giinagay Jinggiwahla (which means hello in our local first nation languages) has helped to inform the wider Clarence Valley about our local indigenous people and happenings in their community. EACH week, Janelle Brown finds time during her busy working week to pen her Daily Examiner column Giinagay Jinggiwahla (which means hello in our local first nation languages). Since its debut in September 2016, the column has been a weekly fixture in helping to inform the wider Clarence Valley about our local indigenous people and happenings in their community. It's a pretty special region here in the Clarence Valley, being home to three different groups - Bundjalung, Gumbaynggirr and Yaegl people - and Janelle's regular contribution spans the width and breadth of those communities. Her writing style and choice of content has proved very popular with people from all backgrounds as she touches on a broad range of indigenous topics every week. From helping readers to get to know their elders in the community to educating people on cultural practices and indigenous history, the Clarence Valley Healing Centre co-ordinator is a wealth of knowledge with a knack for delivering that knowledge in informative, easy-to-digest articles. Janelle is also not shy when it comes to challenging the establishment. In fact, her most fascinating columns explore the social issues that are continuing to impact contemporary indigenous Australians. Whether it's about visitors climbing Uluru, the meaning behind the national anthem or the history of Coutts Crossing and its name, Janelle's contributions have helped to create new directions in conversation and appreciation for what is the world's oldest continuous culture today. No.8: Myer Family: The Myer family's association with the Clarence Valley goes back to the 1960s when Sarah Myer's father Sam Hordern purchased the historic property Yulgilbar Station, endearingly known as 'The Castle'. The family established the Yulgilbar Foundation, which has quietly distributed funds to various community groups for educational and cultural projects. THE Myer family's association with the Clarence Valley goes back to the 1960s when Sarah Myer's father, Sam Hordern, purchased the historic upper Clarence property Yulgilbar Station. Endearingly known as "The Castle" to locals, it was in various states of decay when the Hordern/Myer family came to its rescue. Over the course of several decades it has been transformed by its owners Ballieu and Sarah Myer (pictured) back into its once-regal state while serving as a rural escape for the city-based family (of the department store fame) and operating as a prestigious cattle station that produces some of the best beef in the country. Apart from having a home and business here in the Clarence, the family also established and runs the Yulgilbar Foundation, which has quietly distributed funds to various community groups and organisations for educational and cultural projects through gifts and scholarships. The Myer family are avid supporters of the arts in the Clarence Valley. Their ongoing support of Grafton Regional Gallery and its foundation group helped to generate the outstanding application that successfully secured the gallery its multimillion-dollar extension. The family's dedication to preserving the area's and Yulgilbar's history culminated in the construction of an archive room, which showcases the property's colourful stories and the people who have lived and worked there through its museum-style displays that are periodically opened to tour groups and visitors. The Myers have opened up their iconic Clarence property to the public for various fundraising events, including the gallery's Art in the Paddock event, a repeat opportunity coming up in June next year. No.9: Northern Pathways: The Northern Pathways consortium which won the NSW Government tender to build the Clarence Correctional Centre is made up of UK-based prison company Serco, jail construction experts John Holland, infrastructure specialists John Laing and leaders in public-private partnerships Macquarie. THE powerhouse of international construction companies, financiers and private prison operators that will build and run Grafton's new jail has surged into the Power 30 in ninth position. The Northern Pathways consortium, which won the State Government tender to build the jail, is made of up of UK-based prison company Serco, jail construction experts John Holland, infrastructure specialists John Laing and leaders in public/private partnerships Macquarie. The consortium has made its presence felt in all areas of life. Locally sourced workers are swarming over the site at Lavadia as construction ramps up. Consortium members have demonstrated they're serious about community involvement, funding a number of community groups. The 1700-bed new jail is going to exert a huge influence on the development of the Clarence Valley once it opens in 2020. The 600 employees earning an average of about $70,000 a year will transform the local economy. And the services required to maintain what will become effectively the fourth-largest population centre in the region will ensure countless opportunities for local businesses. Consortium member Serco, the company that will administer the jail, has already begun recruiting staff from the local population. Serco has responded positively to pressure from the government to lower recidivism rates at the jail by introducing exciting new rehabilitation options. One of the features of the jail is going to be a built-in halfway house at the jail, where prisoners close to their release dates move into cells where they can begin to transition to the lifestyles they will experience on the outside. No.10: Nav Navratil: Nav Navratil has long provided front line services for women escaping family violence from the Clarence Valley and across Austrlalia. She has been the helm of the Clarence Valley Women's Refuge for almost 15 years. WELL before Rosie Batty and the #MeToo movement came to the mainstream's attention, Grafton-based Nav Navratil was providing frontline services for women escaping family violence. The quiet achiever has been at the helm of the Clarence Valley Women's Refuge for nearing 15 years, providing lifesaving emergency support to women and their children fleeing domestic violence situations. During the course of her work, Nav has helped to break the cycle of violence by providing the educational tools to empower victims while lending a friendly ear when women and children can be at their most vunerable. Nav's dedication to her role has not only helped families in the Clarence region for many years but right across Australia. Having spent almost 25 years of her life in the field of domestic and family violence, Nav has been an advocate of generational change, helping to take the message of respect for women and girls into high schools through the Love Bites Program. She has been a champion of standing up and challenging governments to improve resources and funding in a sector that has only recently started to get some traction in this country. Nav is a passionate speaker about the epidemic of domestic violence, its intergenerational impact and the many levels in society in which it operates. Her invaluable insight from her experience in the field and understanding of the many ways domestic and family violence can impact on people's lives is something from which the Clarence Valley has quietly benefited. No. 11: Kevin Hogan: IN AUGUST, Page MP Kevin Hogan found himself at the centre of the political maelstrom that resulted in the demise of a Prime Minister and the potentially fatal destabilisation of the government. IN AUGUST, Page MP Kevin Hogan found himself at the centre of the political maelstrom that resulted in the demise of a Prime Minister and the potentially fatal destabilisation of the government. In that scenario, it is hard to imagine anyone coming out of that with their credibility intact, but Nationals MP Mr Hogan was one of the few on the government side to manage it. In an attempt to dissuade the Liberal Party from proceeding with its disastrous attempt to replace a sitting prime minister in a leadership spill, Mr Hogan said he would move to the crossbenches if they proceeded. The rest is history, the spill went ahead, the man put up as the new PM, Peter Dutton, failed to get the votes, with former treasurer Scott Morrison skated Steven Bradbury-like into the top job. Mr Hogan's decision to stand aloof as the Nationals' Coalition partner self-destructed has been one of the few examples of sound political judgment on offer in recent months. Since then Mr Hogan has embarked on a quest to establish a royal commission into two issues that vex the public and suppliers: the behaviour of supermarkets and the vagaries of petrol pricing. Whether his voice will be heard in the cacophony of a rancorous election campaign, we will learn in time. No. 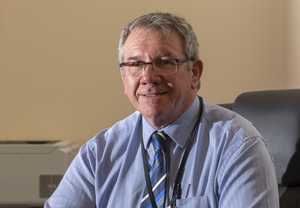 12: Jim Simmons: Mayor Jim Simmons has guided Clarence Valley Council as an active mayor, taking a back seat in his accounting business, and reports more than 20-30 events at all corners of the Clarence Valley. HE HAS guided Clarence Valley Council through a period of change and trouble, and after putting his hand up for another two years, Mayor Jim Simmons again makes our power 30 list. After seeing council through to the transition of a new general manager, and provided the unenviable task of selling to his community the need for a special rates variation, he was elected unopposed to another two-year term to see out this council period. However, he said after his reelection that while the SRV decision had gone through, he wanted to see out council's responsibility to fulfil Fit for the Future guidelines set by the state government. Mr Simmons said he was humbled to continue in the role, and was happy to work alongside the current group of councillors who provided "good debate" on issues. He is an active mayor, taking a back seat in his accounting business, and attends more than 20-30 events a month in every corner of the Clarence Valley. Mr Simmons was born and raised in the Clarence Valley, and worked as a clerk for Petty Sessions across the state before returning to work for the Canegrowers Association and finally partnering with Peter Hamilton in accounting in Maclean. No. 13: Jason Grimes: Former youth worker, now Centre Manager, Jason Grimes has helped get Headspace off the ground across the whole Clarence Valley. AT THE helm of an organisation that was brought to the Clarence Valley after years of campaigning by the community, the US-born Jason Grimes is the centre manager of headspace. A former youth worker in juvenile justice, Jason has helped get headspace off the ground across the whole Clarence Valley, with outreach centres opening in Maclean and Yamba this year. Helping facilitate groups for youth, events and offering a safe space for people aged 12-25 to be themselves, headspace has become a beacon of hope in the Valley. When headspace opened, Jason said he wanted to bring the community together with the existing health services in the Clarence Valley, to help address some of the issues in the area. "For us it was about addressing those expectations and showing a realistic path, we're not the panacea, we're not going to fix all the mental health issues, but we can help," he said about the opening of headspace. No. 14: Robert Blanchard: The light-blue trucks bearing the Herb Blanchard name are a common site throughout our area, and standing at the helm is CEO Robert Blanchard. THE light blue trucks bearing the Herb Blanchard name are a common site throughout our area, and standing at the helm is CEO Robert Blanchard. Mr Blanchard is the first one to say in interviews that the business, started by his parents Noreen and Herb, is still run by the family, rather than a single person, but his advocacy for the transport sector has his name at the forefront of the local and national industry. Mr Blanchard has acted as a director of national industry body NatRoad in the past and is still a contributor to many transport issues throughout the area. The company employs more than 30 people with a fleet of around 25 with three depots and has been the major carrier of poles for Koppers Wood products since the 1960s. Mr Blanchard and his family have been at the forefront of safety and technology advances within the industry, with safety requirements of exceeding national standards, and advances to vehicle tracking and safety features long implemented before they were a norm in the industry. In interviews, Mr Blanchard said they were not a company that pursues aggressive expansion, rather focussing on providing service to their clients. They have actively supported local businesses through visibility campaigns on their vehicles, to local event sponsorship - one of which gave them the naming rights for the Grafton Cup. With the new highway developments making Grafton a hub for multiple highways and uniquely placed between the capital cities, Blanchards stands as a mainstay of local industry and transport. Power No.15: Jojo Newby: Farmer, rural property sales specialist and drought relief advocate is Jojo Newby. FARMER, rural property sales specialist and drought relief advocate aren't titles necessarily associated with someone as young as Grafton's Jojo Newby but she is all of those things and more. The well-known Farrell McCrohon employee wasted no time in helping our her fellow primary producers out west when the drought decimated their properties and livelihoods this year. The former Daily Examiner photographer continues to drive a very successful local campaign that has seen thousands of dollars raised and similar values in donated supplies collected for distribution. Not one to sit back, she also travelled considerable distances to deliver the essential supplies to the grateful recipients. Somehow the busy rural property salesperson also finds time to run her own property which produces livestock and crops, ably assisted by her bevy of beloved dogs, including a rescue greyhound. Jojo's passion and drive, professionalism, and dedication to farming and its broader community deserves saluting even if her humble persona believes otherwise. Power No.16: Jeff Smith: The hardworking small business owner Jeff Smith epitomises that saying that if you put in the hard yards you can achieve anything. IT'S HARD not to notice No. 16 on the Power 30 list, especially if you have ever attended a community event in Grafton. Odds are Jeff Smith and his colourful Hawaiian shirt will be there with his ice-cream wagon. The hard-working small business owner epitomises that saying that if you put in the hard yards you can achieve anything. His Prince St store I-Scream has become an institution in a few short years, bringing a vibrancy to shopping strip and the Clocktower corner of the CBD. There wouldn't be many occasions when driving past that retail zone that Jeff and his wife Robyn didn't have the store open, it's illuminating presence a boon for those who enjoy a sweet treat after dark on the weekend. Jeff's marketing nous and dedication to his business is so good it saw his store claim a top 10 spot in international online giant Trip Advisor's Best Ice-creameries in Australia. But it's not just scooping cones that has Jeff in this year's Power 30. He is a passionate advocate for the community, spearheading the Jacaranda Festival into the 21st century in his volunteer role as president and turning up to many community events to sponsor or support them with and without ice-creams in tow. Power No.17: Yaegl Community: The Lower Clarence's Yaegl people made history when they won a claim that had native title rights granted over the ocean for the first time in this state. THE Lower Clarence's Yaegl people made history when they won a claim that had native title rights granted over the ocean for the first time in this state. A 20-year batttle, which had lands rights granted followed by the historical rights over the sea, was a huge achievement by the Yaegl people, paving the way for future indigenous groups to be successful in achieving unrestricted access to ancestral lands beyond the water's edge. While the title doesn't affect modern commercial operators it does give the Yaegl people freedom and independence when it comes to their own personal harvesting, something indigenous people have done respectfully for the past 60,000 years. While the Yaegl people are steeped in ancient culture, their decision-making and vision exemplifies a modern, progressive indigenous group, having instigated empowering local projects over the years from rights-based actions to the organic food bowl on Ulgundahi Island. They are also quick to respond to anything they see threatening their lands by speaking out, including the protection of the seabed when the Yamba megaport proposals were being tossed around. More recently Yaegl woman Frances Belle Parker spoke up when their language's future was being compromised by government decisions, her passionate plea so effective it made it to the house of parliament. Power No.18: Phil Boughton: Recognizing the instability in the traditional market at Bowlo Sports and Leisure Yamba, Chief Executive Officer Phil Boughton, took an ambitious vision to the board and succeeded. THERE are many registered clubs within the Clarence Valley, but few have had an impact and forward-planning like the Yamba Bowling Club. And it is Phil Boughton, the Chief Executive Officer of the now renamed Bowlo Sports and Leisure Yamba who has been at the forefront of their push. Recognising the instability of their traditional market, Boughton took an ambitious vision to the board, with plans to expand the bowling club facility into an entertainment centre for the town. With them fully on board, they dealt with planning and council issues, before surging forward with an aggressive $3m redevelopment to position the club well into the future. With a popular four-lane ten pin bowling alley, climbing wall and mini-golf course, the club provided Yamba with an outlet for all-weather fun, ready for holidaymakers and locals alike. Combined with internal renovations to the club, the purchase of nearby Aston Motel and a hire-car facility, Mr Boughton, alongside his board, have positioned the club as one of the leaders in the valley. Power No.19: John Shelton: Winner of the Clarence River Jockey Club Trainer’s Premiership for 19 of the past 20 years, John Shelton produced his greatest win in 2018 when Belfyer won The Kosciuszko – the richest race in NSW Country Racing history. HORSE trainer John Shelton has become an institution of the Clarence Valley sporting scene in his own right. From his early days as a jockey riding for veteran trainers Bob Gosling and Hunter Kilner to taking up his own trainer's licence, success has always followed the little maestro. Known in the racing community as Rambo, Shelton has a take-no-prisoners approach to his craft, always getting the best out of his horses and his jockeys. It is the reason he is the most successful horse trainer in the region, taking out the Clarence River Jockey Club's trainer's premiership in an astounding 19 out of the past 20 years. While he tasted major success in the 2000 Ramornie with Mother's Gift, Rambo's biggest success came this year when he won the inaugural $1.3 million The Kosciuszko with Belflyer. Not only a master horseman, Shelton has also produced impressive jockeys under his care, including Gai Waterhouse's regular rider Adam Hyeronimous and leading Northern Rivers rider Ben Looker. Power No.20: John Shearer: WHILE ‘mindfulness’ seems to be the buzz word of the moment, Grafton’s John Shearer is well ahead of the pack when it comes to this practice. WHILE "mindfulness" seems to be the buzzword of the moment, Grafton's John Shearer is well ahead of the pack when it comes to this practice. He launched his Mindfully Making a Difference (MindfullyMAD.org) website in 2011, which to-date has more than 672,000 Facebook followers across the globe. John wears many hats, including mindfulness master, intuitive life coach, psychotherapist, hypnotherapist, modern-day shaman and spiritual healer. His noble goal is to see a world where mental health is managed without medication. With a passion for educating and encouraging mindfulness in children as well as helping people overcome addiction and mental suffering, John's first-hand experience and academic contributions travel well beyond the work he does on the ground here in the Clarence. Power No. 21 Bianca Monaghan and Rachael Cavanagh : Bianca Monaghan and Rachael Cavanagh epitomise contemporary indigenous Australia here in the Clarence. BUNDJALUNG and Minyungbal women respectively Bianca Monaghan and Rachael Cavanagh epitomise contemporary indigenous Australia here in the Clarence. Not afraid to challenge mainstream thinking or stand up and speak out about indigenous rights and injustices, these young women are both passionate advocates for their culture and the empowerment of their people. The pair drove the Grafton March for Elijah to mourn the tragic death of the Western Australia boy and highlight the lack of value placed on indigenous lives. They also organised a traditional dance on the banks of the Clarence River on Australia Day to serve as a reminder of the emotional consequences the date has for Aboriginal people. Bianca and Rachael were also the key organisers of the Tidda Queens Dinner, an empowering event that saw indigenous women and elders from across the Clarence come together to honour one another while paying respects to the women who paved the way for the next generation. Its outstanding attendance and their determination will ensure the event will be a fixture on the Clarence calendar. Whether it's through community events or public demonstrations these young women are at the forefront of driving change, both in legislation and attitude. Power No.22: Karen Stafford : CLARENCE Valley residents who break the law will find local court magistrate Karen Stafford has the most influence on their lives. CLARENCE Valley residents who have broken the law will find magistrate Karen Stafford is the most influential person in their lives if they appear before her in local court at Grafton or Maclean. Ms Stafford, who was sworn in as a magistrate in 2012, came onto the Clarence Valley local court circuit a year ago. She has impressed Daily Examiner reporters covering court with her determination to administer the law fairly, but with an awareness of community expectations often spelled out in her decisions. Prior to her role as a magistrate, Ms Stafford worked with the the Office of the Director of Public Prosecutions and had sole carriage of many serious matters from the time they were referred to the ODPP. Ms Stafford was involved in the prosecution of convicted murderer Arthur "Neddy" Smith from 1994 until 2000. She also appeared in matters before the Supreme, District, Local, and Children's courts. Power No.23: Jeremy Jablonski: The president of Clarence Youth Action, one half of Jempire Events, youth worker and dance teacher, Jeremy Jablonski has made a name for himself as one of our hardest-working advocates for youth. YOUTH advocate, dance teacher, business owner and event organiser, Jeremy Jablonski wears a lot of hats. From his regular DJ nights Evolution to organising youth-led events and donating his time for the betterment of the Clarence Valley, in the lastpast few years Jeremy has made a name for himself in the community for his selfless and hard-working nature. Jeremy is the president of Clarence Youth Action, a youth group that has been recognised on a national scale for the work they do in the community, and owner Jempire Events, an event company based out of the Clarence Valley who work up and down the North Coast. He also teaches hip-hop and finds time to be a youth worker with the New School of Arts in between. CORRECTION: It was originally printed that Jeremy was one half of Jempire Events. Power No. 24: Peter Watt: INTERNATIONAL best-selling author Peter Watt could be claimed as the Clarence Valley’s own Wilbur Smith. Having amassed millions of fans across the world with his adventurous tales, rich in history, Peter quietly works away from his home in Maclean. INTERNATIONAL best-selling author Peter Watt could be claimed as the Clarence Valley's own Wilbur Smith. Having amassed millions of fans across the world with his adventurous tales, rich in history, Peter quietly works away from his home in Maclean. A Clarence Valley "local" for more than a decade now, when he's not working on his next novel, he's volunteering for the Rural Fire Service, a pursuit that borrows the same stamina, vigilance and discipline required to execute one of his 400-page odysseys. A former soldier, article clerk, deckhand, labourer, salesman, policeman and advisor to the constabulary in New Guinea, his own life's journey seemingly as colourful as one of his fascinating plots. The prolific writer has released close to 20 novels during his career, his latest one The Queen's Colonial, the first in his new series is hot off the press and just in time for Christmas. DESPITE only having been being in the Clarence Valley for the past few months, newly appointed Grafton Regional Gallery director Niomi Sands has wasted no time in positioning the institution as a 21st century cultural destination. Previously she was curator at the much-talked about Glasshouse in Port Macquarie. Her experience in the contemporary arts landscape has already been invaluable as she directs and oversees next year's $7.6 million transformation of the gallery - one of the most significant investments in the Clarence Valley's cultural infrastructure to date. Ms Sands has also quickly endeared herself to all facets of the broad gallery community. Her experience and relatability means she is just as proficient navigating various tiers of government as she is with encouraging and supporting the institution's many volunteers and organisations. Watch this space. Power No.26: Michael Rowe: BRINGING a university to the Clarence Valley has been a dream that has escaped local planners for more than 50 years, until Southgate’s Michael Rowe stepped up to the plate. BRINGING a university to the Clarence Valley has been a dream that escaped local planners for more than 50 years, until Southgate's Michael Rowe stepped up to the plate. A chance encounter with the founder of Country Universities Centre's Duncan Taylor has led to the imminent opening of a Grafton campus of the CUC next year. While Mr Rowe likes to downplay his role in bringing what is shaping as the next generation in tertiary education to the Clarence, what he has done has been critical. He was able to convince Mr Taylor to come to Grafton in late 2017 to tell local educators and officials what they could expect from a CUC. Simultaneously he was able to lobby all tiers of government for support which has included a $1.3 million grant from the State Government to establish the centre in Grafton. The proof of the pudding is in the eating. Because of his efforts there is a vibrant community committee assembled to ensure locals can get a university education without being forced to leave home. Power No. 27: Gina Lopez: Newly elected president of the Yamba Chamber of Commerce Gina Lopez first came to attention locally when she championed the EcoBag movement in 2014. THE NEW president of the Yamba Chamber of Commerce has not left her social conscience at home just because she's heading up a business group. In fact, one of the reasons Ms Lopez has for taking on the role, is she sees an increasing need for environmentally aware people to be in key decision making roles. Ms Lopez first came to attention locally when she championed the EcoBag movement in 2014, securing the support of many local businesses as the campaign to reduce the amount of plastic finiding its way into the environment began to take shape. The concept has proved so successful Australia's major super market chains no longer have single-use plastic bags available. The Yamba Chamber of Commerce has embraced Ms Lopez's visions since it elected her unnopposed to the presidency in October. In true 21st Century fashion she has brought a strong suite of business skills and experience to the job as well as her passion for improving the environment. IN LATE 2016 former Clarence Valley councillor Sue Hughes was at a cross roads after experiencing voter rejection in the local government elections. Although a councillor for eight years and a long-time president of the Yamba Chamber of Commerce she still felt she had unfinished business. Uncertain about what to do, Ms Hughes took a break in private enterprise, but has now found herself again, as a champion for one of the most important issues confronting her region, mental health services. The formation of Our Healthy Clarence early in 2017 could have been made for someone with Ms Hughes' set of skills and motivations. In October 2017 she took on the role of project co-ordinator for the organisation which included engaging with the community and other agencies to promote its aims. In November NSW Premier Gladys Berejiklian was in Grafton to award Our Healthy Clarence and Clarence Youth Action with Premiers awards for their valuable work in the community. Power No. 29: Jason Kingsley: Clarence Valley deputy mayor Jason Kingsley runs a business, established a family and pursued a career in local government. MORE than most Clarence Valley deputy mayor Jason Kingsley likes to steer clear of the limelight. Despite his best efforts to remain unnoticed he has racked up some impressive results in public life. A surfing accident rendered him a paraplegic as a teenager, but barely slowed his life's trajectory. He runs a business, has established a family and pursued a career in local government, mostly working behind the scenes. One of his key successes has been as an advocate on the council to ensure disability access is front of mind in decision making in the region. He has just been voted in for a second term as deputy mayor taking a more public role than is normal for him to establish a leadership team with Mayor Jim Simmons that unifies the two key population centres in the region. Power No.30: Desan Padayachee : The South African-born, former Queenslander Desan Padayachee is now our ‘host with the most’ having emceed almost all of the Clarence’s holy grail of events. THE voice of Jacaranda and Grafton's town crier are just a few of the monikers Desan Padayachee has added to his CV since he arrived in the Clarence around five years ago. The South African-born, former Queenslander is now our 'host with the most' having emceed almost all of the Clarence's holy grail of events, his distinctive delivery adding an element of showbiz usually relegated to the stages of major cities and centres. Desan's comedic timing, presentation skills and stage presence is a coup for the Clarence and the many groups who wasted no time sequestering his talents. He has also contributed substantially to the thriving theatre scene bringing his extraordinary acting skills to the local stage in many roles over the seasons, from the humorous When Dad Married Fury to classic play Waiting For Godot. His Thespian talents also extend to directing which recently saw his acute skills result in one the finest productions seen in the Clarence with Next to Normal at the Pelican Playhouse. Desan also spreads his theatrical contributions across the river to the Criterion Theatre where is holds the position of the group's president. Lucky for us the professional drama teacher, actor and burgeoning stand-up comic moved here with his family and when he's not up on stage hosting, acting, or making us laugh, he is working in the community services sector.